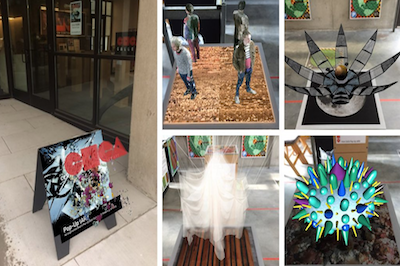 As part of Seattle’s Center on Contemporary Art’s ongoing effort to push the boundaries of contemporary art—in this case by bringing new technology to its publications—CoCA selected 18 artists to work on their first technology-enhanced art volume entitled “Pop-up (AR)t”. 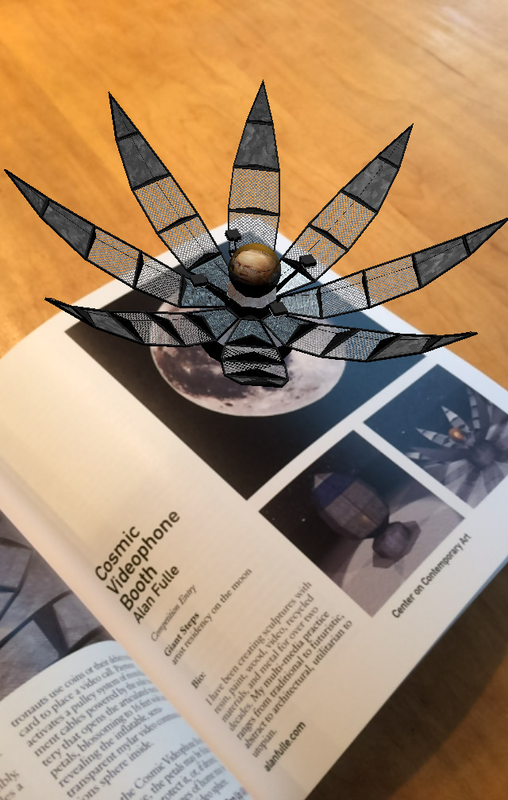 Powered by the Wikitude Studio, the book proved AR can change the way the world looks at art! I have pursued AR for some time. At first, access to the technology was limited. I had to write my own software just to experiment with it, but even these crude results were promising. In due time, a tool appeared - Wikitude - that allowed you to create your own applications and publish your own AR models. Augmented Reality was now accessible to the general public and - more importantly - to artists. Confronted with the fact that CoCA’s exhibition space was temporarily limited while it looked for a new home, CoCA Publisher Ray C. Freeman III was considering the question of how to present art – not pictures of art, but actual art – in the form of a book. Having some experience with AR, he worked with a few artists to explore the concept, discovered Wikitude in the process, and then published a Call for Art for 3D artists to submit their artwork for consideration. Similar to a traditional pop-up book, three dimensional versions of featured artists’ work spring to life as the viewer turns each page. 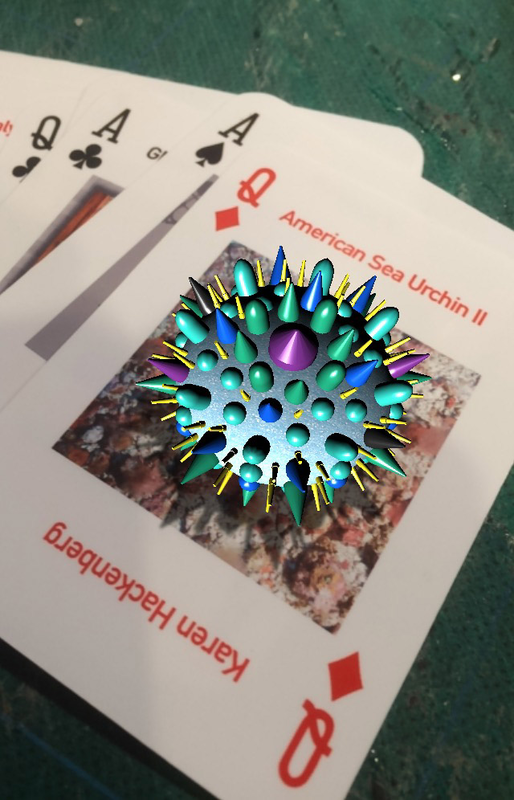 But instead of elaborate paper cutouts, Augmented Reality technology from Wikitude allows the viewer to see the artwork in three dimensions on their mobile device – iPhone, iPad, and Android. By the time the book was published, space had been found, and an exhibition of the work was mounted and launched at the book release party for the book. Each AR target was printed on transluscent material and placed on a backlit custom pedestal. During the course of the exhibition, Wikitude-enhanced playing cards were created and made available. Following the exhibition, some of the participating artists have presented their individual works in other gallery settings. 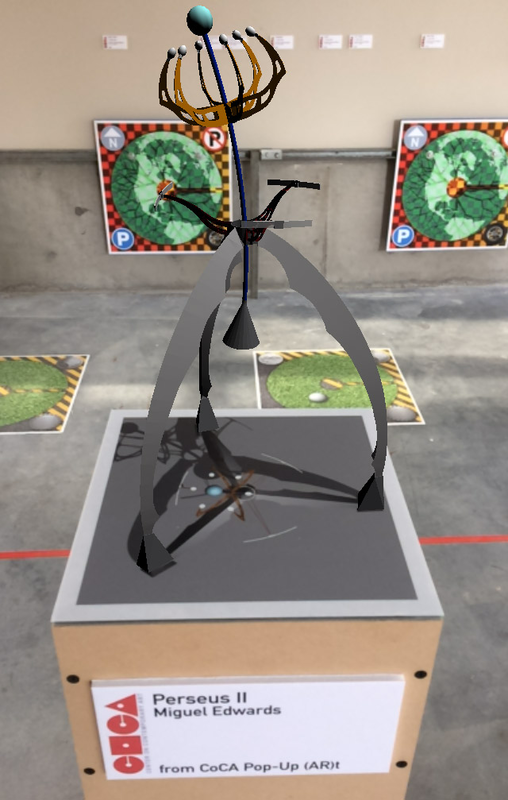 Additional venues for the entire show are under consideration, and Freeman is now working with additional artists to realize their creations in augmented reality. Presents curated artworks in a number of deployment modes. Exhibition, publication, and playing cards. Wikitude Apps for Android and iOS.